Diamonds, Divas & Daydreams | Shine, Smile and Share Style! Shine, Smile and Share Style! You start by carrying out ‘Skin Mapping’ which determines your clients skin type and any skin conditions they maybe suffering from. I was lucky enough to have this done on myself by one of the highly trained Skin Specialist there. I have always suffered from Sensitive Skin and Redness. Following the Skin Mapping I was recommended to start using Dermalogica’s Ultra Calming Range. After only 3 days using the products I noted a huge improvement in the condition and colour of my skin. I will continue explaining the ranges and the benefits to your skin in future posts but I wanted to bring your attention to a brand new product which I have fallen in love with! Redness Relief Primer has an SPF20 and is an ideal base to your foundation and especially if used in conjunction with Dermalogica’s Cover Tint. It’s velvety softness and gentle green colouring makes for the feeling of a very luxurious product. 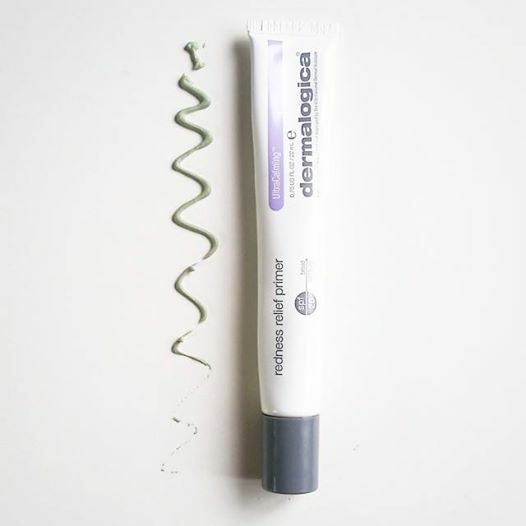 Counteract telltale skin redness and balance skin tone with this soothing, translucent primer tinted with natural green botanical extracts. Velvety silicones smooth the skin and strengthen barrier protection while physical sunscreen shields the skin from irritating UV rays. During my year in college I was introduced to ‘Polyvore’. It’s a fantastic website that allows you to produce Look Books using pictures from their library or you can upload your own to the site. I enjoyed messing around producing boards and pinning them to my Facebook page. From here a friend of mine who owns a Bridal Boutique asked me to set up a Facebook page for the business. 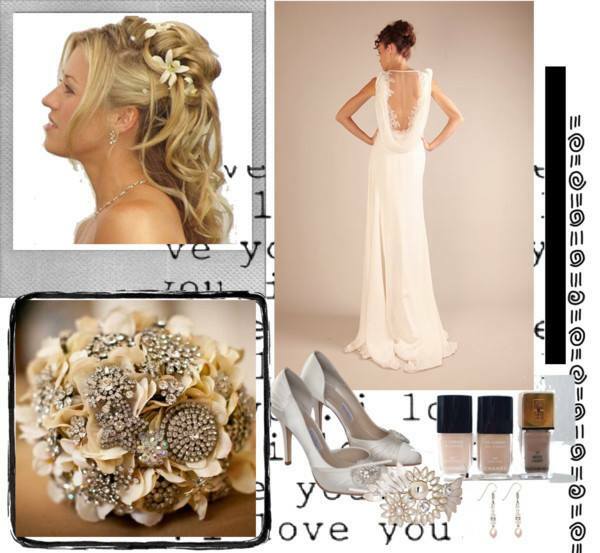 Since then I have really enjoyed producing a ‘Look of the Week’ on Polyvore and uploading it to her page. Thought you might like to take a look at the latest one. I have spent a wonderful year as a Fashion Industry Practice Student at GTI Galway. For our first assignment in our Design Module, we were asked to ‘Produce a garment using Recycled Materials’. With children at home old toys seemed to be an obvious choice. I looked around the playroom and came across a box full of odd jigsaw pieces. I started playing around with the puzzle and pieces of fabric. ’The colours and pictures brought to mind a ‘Fairy Tale Theme’. Using a bodice given to me by ‘Helena Quinlan Bridal’, I started sewing on the jigsaw pieces slowly building up the front of the bodice. As I continued, a pair of curtains that hung in my bedroom as a child came to mind. The colours worked perfectly and they tied in with my fairytale theme. To complete the look I made a crown using pages from an old book and puzzle pieces and I customized a pair of shoes using puzzle pieces. I photographed my look at ‘Yeats Tower’ near Gort, on Katrina O’Connell. I did the make up, styling and photography for the shoot myself.